During the month of June, our author Vincent Vinas asked to donate 1 dollar of his royalties for every print or ebook sold of The Fu neral Portrait that month. 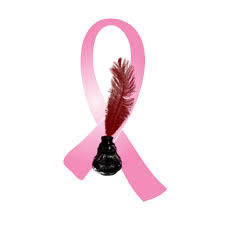 After reporting the story yesterday, our author Wade Beauchamp asked us to donate his October royalties to Breast Cancer Research as well from his novel Scream If You Wanna Go Faster. We decided to match his donation just like we did with Vincent. In fact, we decided that any book that sells on our website or on any ebook platform in the next 24 hours we will donate 1 dollar to the Breast Cancer Research Foundation. Please go to www.ink-smith.com, check out our books today and buy a book for a great cause! During the month of July, Vincent Vinas held a breast cancer research fundraiser. For every copy of The Funeral Portrait sold, Vincent donated 1 dollar. Ink Smith Publishing decided to match Vincent for every dollar he donated. In honor of October being Breast Cancer Research month, Ink Smith Publishing has donated that money to benefit breast cancer research. We have all been affected by cancer in one way or another. Hopefully one day we will have a cure and loved ones can be saved. Until then, we do what we can to be there for each other. Starting off the first full week of November, Ink Smith’s upcoming release goes on sales. Any pre-orders will ship on it’s release date of November 7th. On November 10th, Ink Smith is looking into attending the world famous Rose Bowl swap meet in Pasadena, CA. We are looking at different possibilities for successful venues to get our books out there into the hands of the readers. We will be in the white section near food court and the entrance. November 22nd is an exciting day for many of our authors. Barnes and Noble is having their Discovery Friday at participating national stores. I can confirm a few of our authors will be at local stores, but more details will follow. 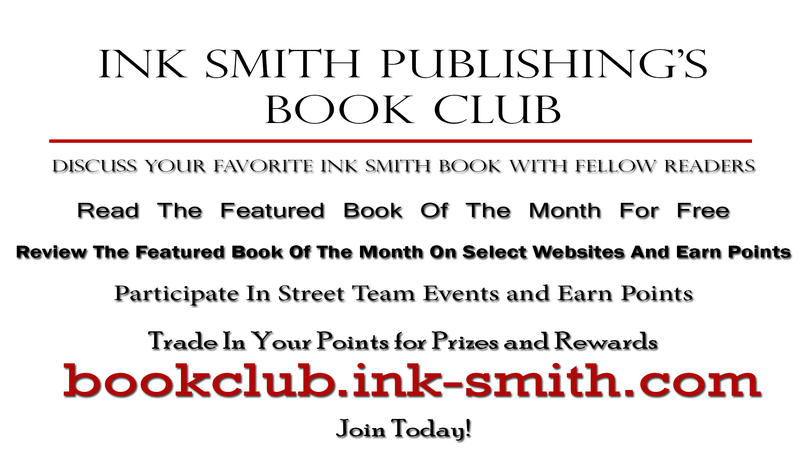 November 28th-December 1st Ink Smith Publishing will be having their first Black Friday Sale! All of our books on our website will be selling at a 50% discount. This sale will kick off our holiday season sale that will run until December 24th. If you haven’t had a chance to sign up for Ink Smith’s newsletter, please go to their website www.ink-smith.com and stay up to date on the latest information, releases and sales. 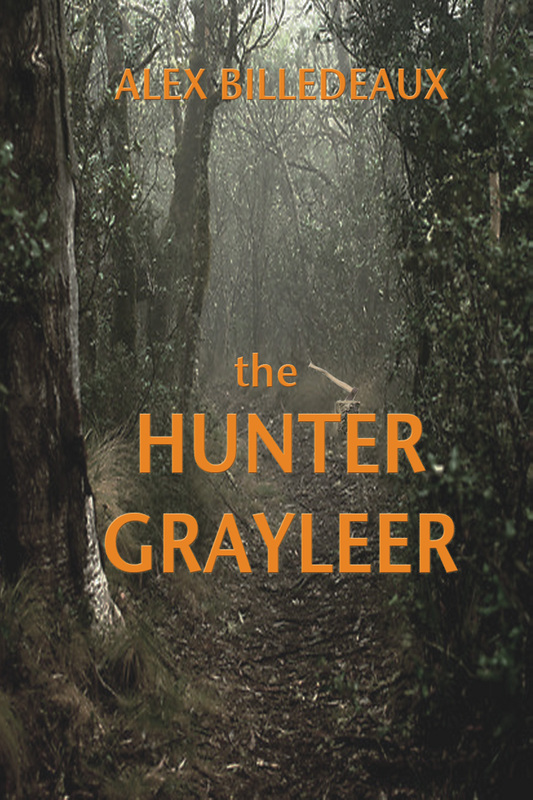 Ink Smith Publishing’s October release The Hunter, Grayleer takes us on the journey following a monster hunter, Michael Grayleer. There are twisted creatures, hiding in the darkness. In the deep woods, the abandoned barn, the back alley, the empty apartment next door. Some control minds or weather, others dabble with lost souls and possession. They have preyed on the unwary for centuries and are only satiated by the next victim they take. There are Hunters, scouring just at the edge of the light. Michael Grayleer is one such man. Shotgun in hand, Grayleer tracks down whispers of attacks, finding the perpetrator and removing them before they can hurt anyone else. It is not so cut and dry these days, especially since Grayleer’s prey has found a new orchestrator. Grayleer is not the Hunter anymore. They are being sicked on him, one by one, until he either dies or turns to find protection at the hands of men that he would have never put trust in before. As he watches his new friends slowly lose themselves into the ruthless kills that his job requires, he is forced to wonder whether his Hunt is just – or even forgivable. If you are interested in doing an interview on our blog please fill out the blog below. We are looking for authors with books out or books about to be released! Once we receive your entry, you will be contacted to regarding your book cover and if you would like to include that in your interview.